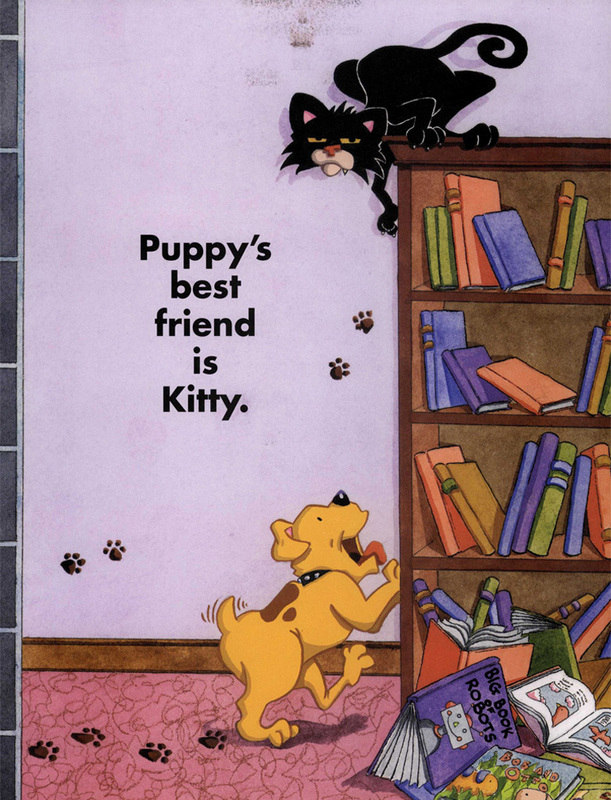 PUPPY GETS HIS OWN BOOK. 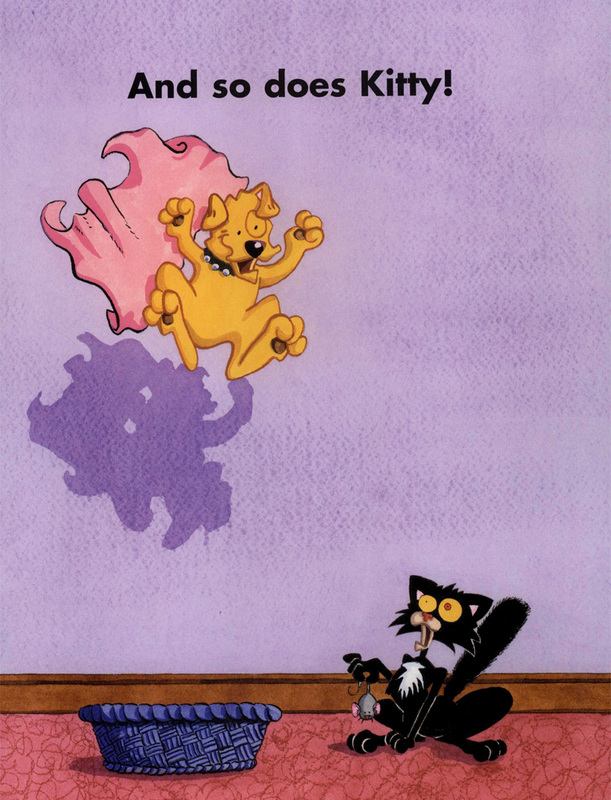 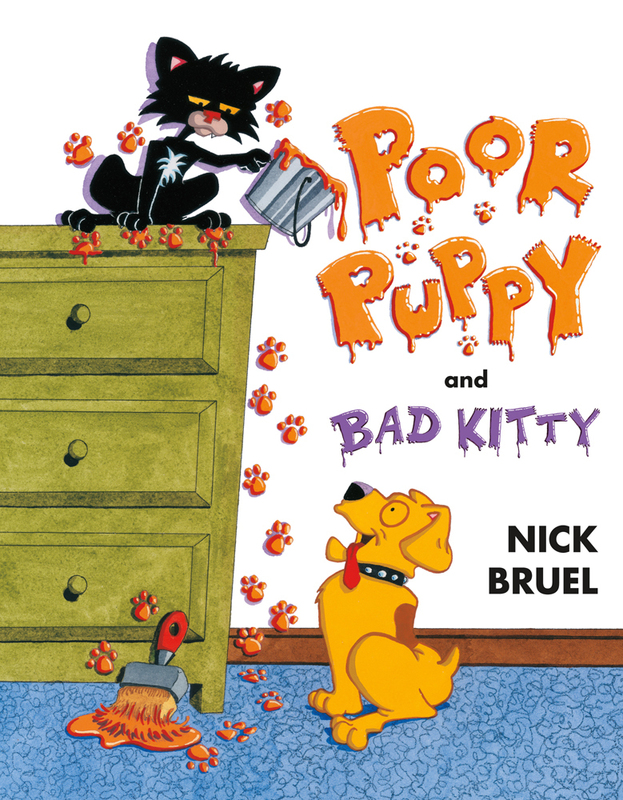 Kitty's best friend stars in this zany companion to the best selling BAD KITTY. 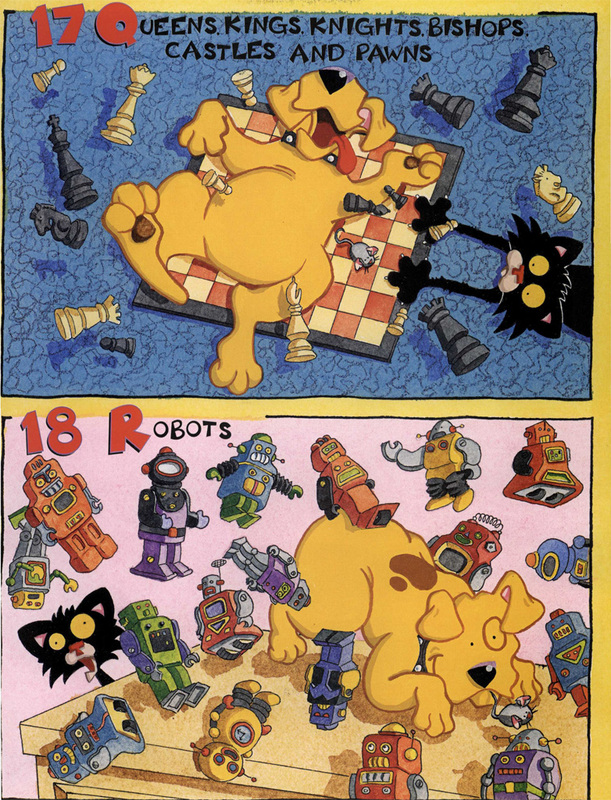 Poor, poor Puppy: Kitty isn't interested in playing, so all puppy's left with are: 1 Airplane, 2 Balls, 3 Cars, 4 Dolls... and 22 other toys. 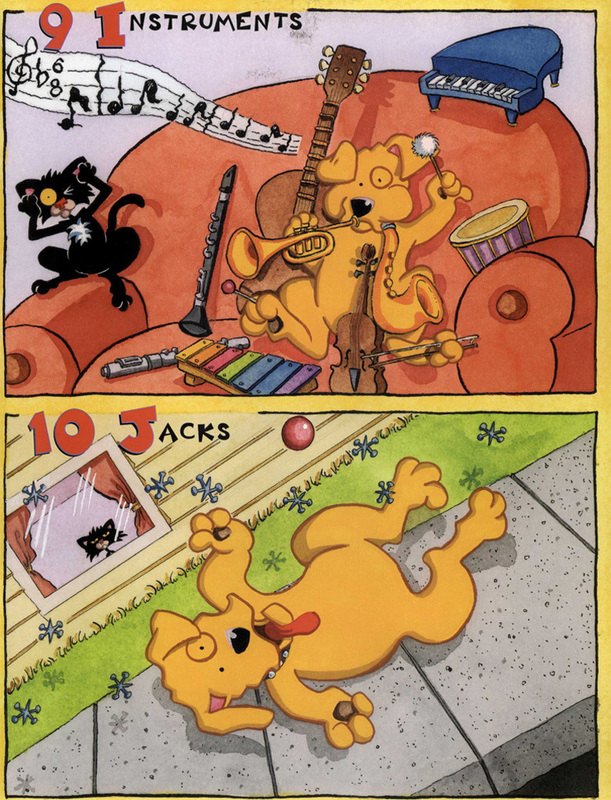 When he's done, Puppy's so tired, he takes a nap--and dreams of playing apple bobbing in Antarctica, Baseball in Brazil, Checkers in Canada, Dodgeball in Denmark... and 22 other games. 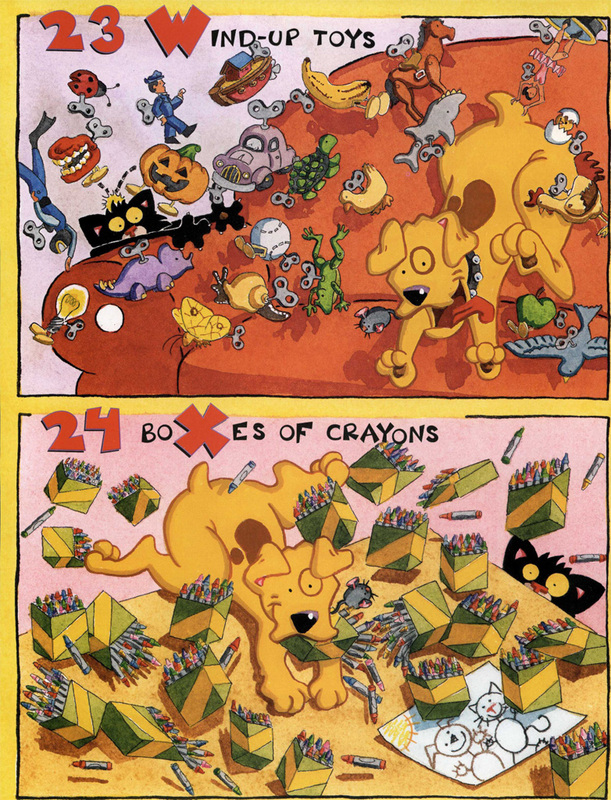 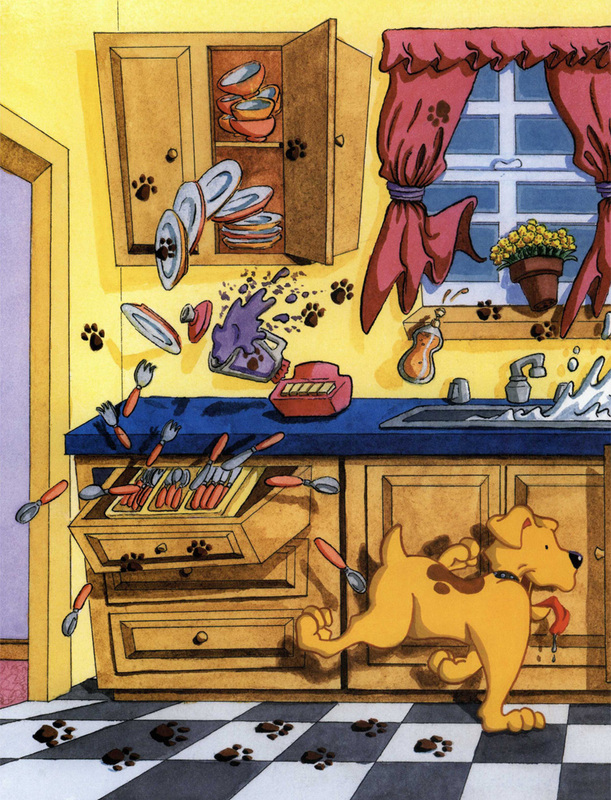 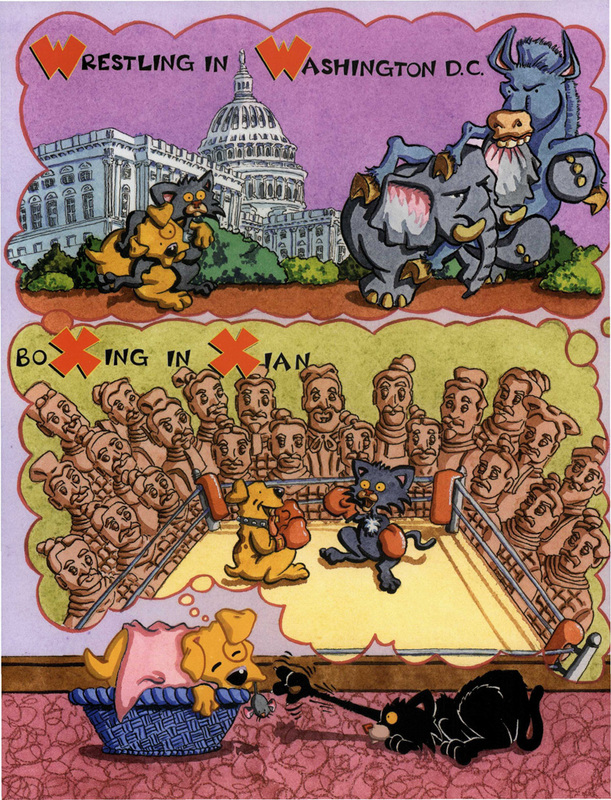 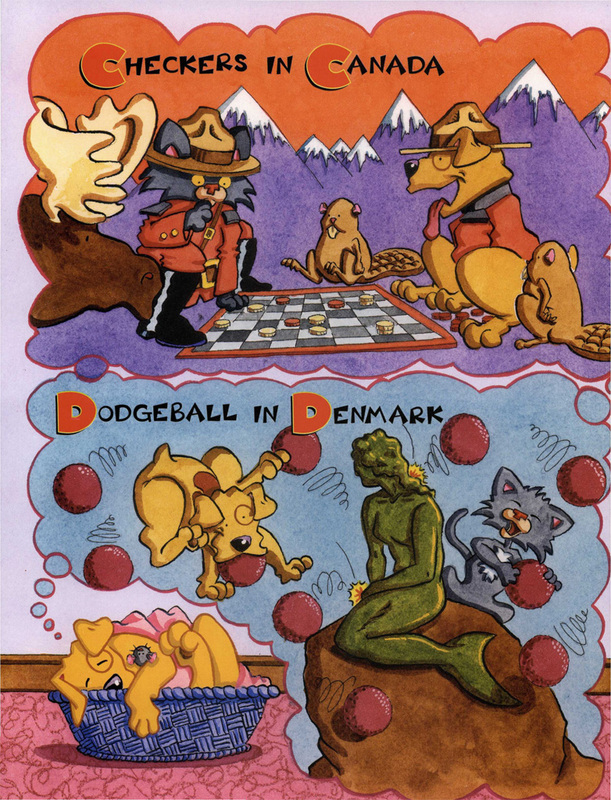 Who else but Nick Bruel could combine the alphabet, a counting game, a whirlwind geography course, and a screamingly funny story... all in 40 pages (previously titled Poor Puppy)?